Wait too long and you’re bound to miss the magic. Miss the magic and you may wonder why your eyes were open in the first place. Soon your blinks come long and slow, and you find things are easier with your eyes fully closed. Before you know it, you’re asleep to the world, oblivious to the beauty and wonder around you. You’re comfortable but blinded, unable to experience those things that make one human in the first place. No, better to blink now and be done with it. 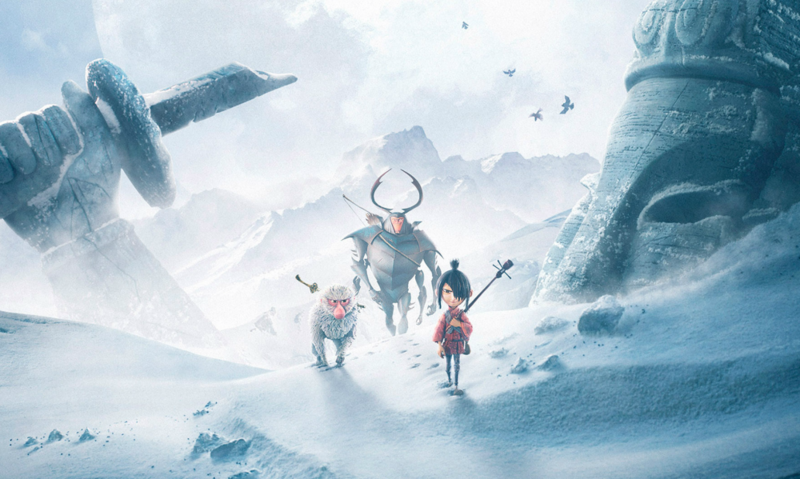 Laika’s latest feature, the emotionally and visually breathtaking Kubo, sets out to warn viewers of this danger. The film’s namesake, a young storyteller who performs magic with an enchanted shamisen, repeats the warning several times: If you must blink, do it now. 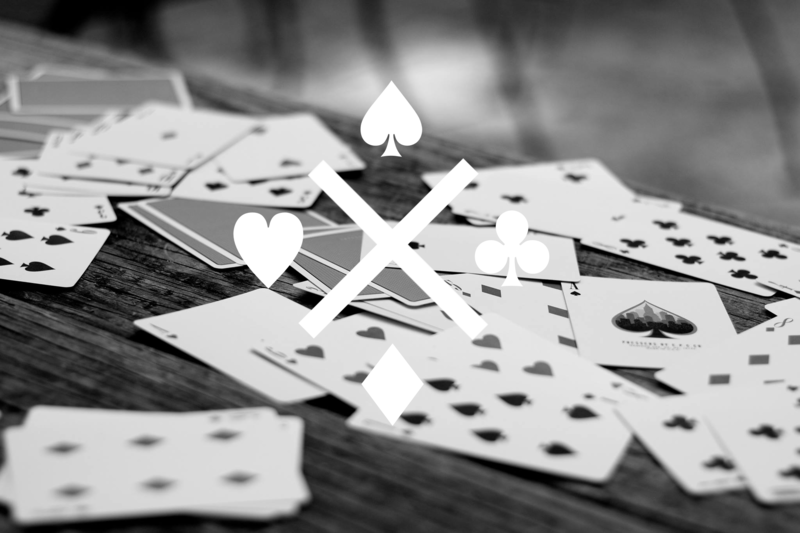 At first, the refrain seems little more than a magician’s flair, designed to rouse the local villagers he performs for. As the film progresses, however, the warning takes on a significantly more serious tone. You see, in Kubo’s world, not everyone agrees with this line of thought. The boy’s grandfather, known in legends as the Moon King, believes life to be better with one’s eyes closed. After all, he reasons, the world is full of tragedy and little else. He’s gone to great lengths to remove himself from the chaos of humanity, choosing instead to live among the stars as an immortal being. Now he’s on a mission to blind Kubo to the tragedy he’s escaped—literally. 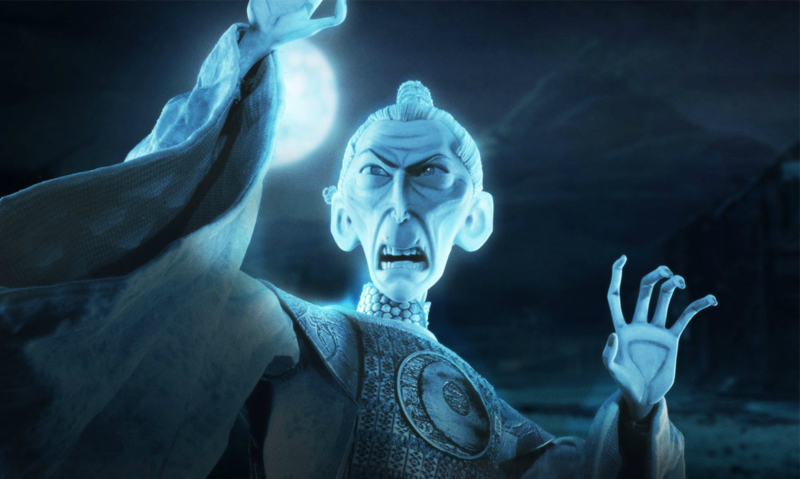 Before the film’s start, the Moon King has already half succeeded. Kubo loses one eye to his grandfather when he is only a baby, though his mother whisks him away from further harm. Since then, mother and son have lived together in relative peace, hiding themselves from the moon’s watchful gaze each night. Then one day everything changes. The Moon King sends his two daughters to take the boy’s sight for good, thrusting Kubo into a world of danger and magic. The result is an epic journey, complete with fascinating visuals, fantastic adventure, and a few good laughs along the way. If that were all, of course, Kubo would still be a great film. But what sets it apart from the pack is its profound insights on life, art, and the curious relationship between the two. WARNING: This post contains spoilers about the movie’s ending. If you haven’t seen it yet, here’s your chance to read something else. The uncomfortable truth about this story is that the Moon King wants to protect Kubo. He’s seen some things in his day, and he wants to make sure Kubo doesn’t have to see those things himself. He’s not entirely wrong about the state of things, either. The amount of violence and injustice and heartache in the world today can be overwhelming at times. Who in their right minds wouldn’t want to protect a kid from that? Yet in doing so, he would shelter Kubo from so much more than just the bad. What about the good, the true, the beautiful? By closing his eyes to one thing, the Moon King would effectively close them to countless others. Sure, he might be able to save him from heartache, but only at a terrible cost. It’s what caused the Moon King to lose his humanity in the first place, and would signal a sort of death for Kubo as well. On top of this, he embodies a glaring contradiction through his efforts. By closing his own eyes to the tragedy around him, the Moon King ends up causing tragedy himself, wreaking havoc on Kubo’s whole world. He turns himself into a hideous, dragon-like monster, placing further distance between himself and the rest of humanity. It seems his eyes have been closed for so long, he’s lost the ability to see either good or evil. This is exactly what has happened to the Moon King after years of separating himself from the rest of humanity. His heart has grown so callused and unused that he’s morally blind to the terror he causes. The same has happened with his two daughters—a pair of convincingly creepy witches—who have likewise scorned the earth below. The witches arrive everywhere in tandem, moving in one accord, making their way towards Kubo and his friends. All the while, they call out to him with unmoving lips, their faces fixed in sardonic smiles. The effect is chilling, especially so for a children’s movie. But as we later realize, the witches just wear masks. Beneath are normal, moving, human faces. Like the Moon King, however, they’ve covered up their humanity and replaced it with a cold, empty shell of their former selves. Kubo insists that, no matter how hard we try to distance ourselves from the messiness of human existence, it can’t be done. At least, not without giving up a piece of our humanity. After all, is there anything quite so dangerous as safety and comfort? These can often lead to apathy and an inability to connect with those around us, a greater danger than anything we could ever face. Your wellbeing is one thing. Your soul is another. Luckily, Kubo knows a thing or two about taking tragedy and turning it into something beautiful. With his shamisen he enchants small origami figures to enact the stories he tells, usually about the fateful battle between his father and the Moon King. These are initially heroic tales, inspiring audiences with his father’s bravery and valor. But he’s also telling of what supposedly took his father’s life. And as he goes on, Kubo only accumulates more of these tragic tales in his journeys. We know from earlier that we can’t escape these sorts of tales. That’s good and well, but what then are we supposed to do with them? Thankfully, Kubo addresses this question as well. Its response: turn them into art. After Kubo’s mother and father die, he is left to face the Moon King—transformed now into the Moon Beast—all on his own. The strings on his shamisen have broken, and he’s left with nothing but a hair from his mother and a bowstring from his father, literal memories of his dead parents. Yet Kubo recognizes his ability to take these tragedies and make something better of them. Together with his own hair, he strings his shamisen and lets the music play, effectively turning the Moon Beast back to his mortal form. It’s not that these events turned out to somehow be “good” in the end—not by a long shot. Only that, though such tragedies may be inherent to simply being a human, they don’t need to be the end of the story. Kubo sees these tragedies, awful as they are, and recognizes that they are part of his story. He sees that his story is powerful, with the ability to shape reality in unexpected ways and, paradoxically, produce good in the world. We all have stories like this, and if there’s one thing you’ll walk away from Kubo knowing, it’s that these stories matter. Choosing to find the good in your story and others, tragedy and all, has the power to transform lives. When the Moon King is changed back to his mortal form, he’s completely lost his memory. The locals surround him, telling him who he was, how he was the kindest, most generous man in their village. The crazy part? He believes them. All trickery aside, their stories changed things, shaping his reality and identity for the better. Is Kubo’s story perfect? No. The film hardly provides a happy ending, with only the ghosts of his parents returned to comfort him. But if he’d refused to accept his story and redeem it through his art, it wouldn’t have any power at all. He would be like the Moon King, refusing to let any of the messiness of the world creep in. But at that point, would he even truly have a story? 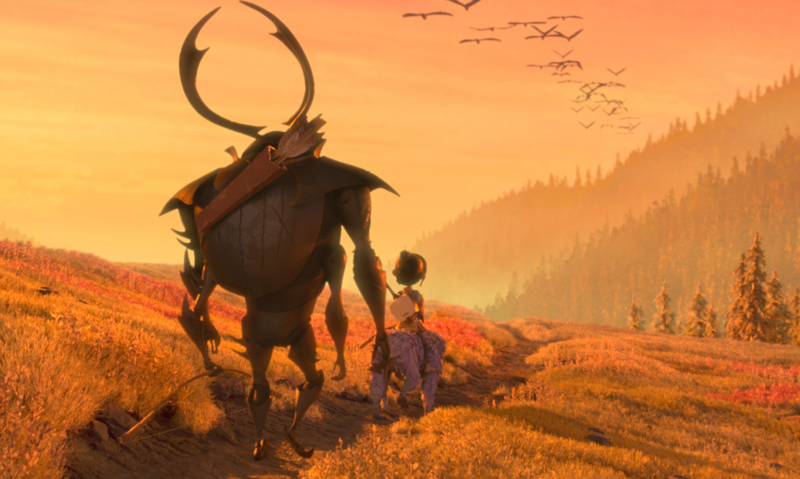 In an interview with The Verge, Laika CEO Travis Knight talks about how the human element makes stop-motion unique. It may not be perfect, but its little imperfections make it beautiful, in its own way. 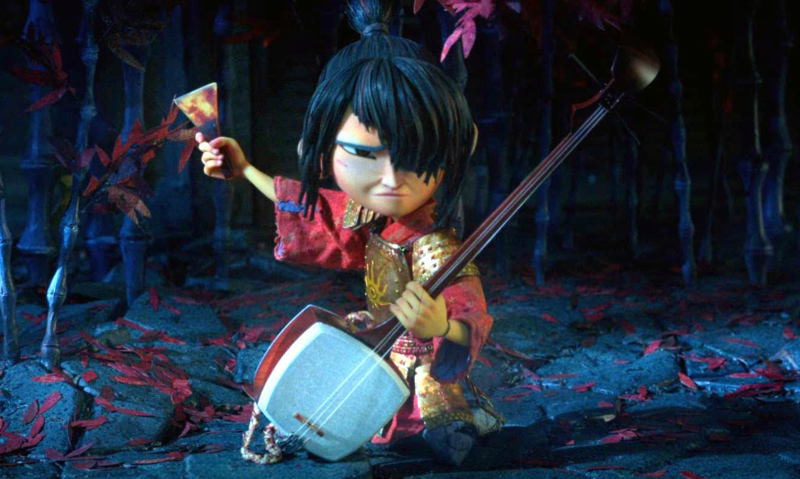 And that’s exactly what makes Kubo’s two strings so extraordinary: choosing to accept the disaster and use it to fuel the positive in his life, thereby creating good in the world. Everything here is just as true for Kubo’s world as our own. It’s our choice to recognize the tragedies in our lives, absorb them, make them part of our own stories, and keep moving forward. And rife though they are with conflict and disaster, they can become art.